Steeped in heritage and smack bang in the middle of the bustling Sydney CBD, the stylish five-star Radisson Blu Plaza Hotel Sydney is a pillar of modern and contemporary comfort and style. If you’re looking for the perfect distraction from the city’s busy streets, or to relax and take a break with some delicious fare, the Radisson Blu’s High Tea is ideal. In the heart of Sydney’s CBD lies the Radisson Blu Plaza Hotel Sydney, housed inside a gorgeous 1850s Beaux Arts property full of historic charm with contemporary comforts. Sitting in our plush lounge chairs surrounded by natural light, you are blown away by the delightful array of sweet and savoury finger foods. 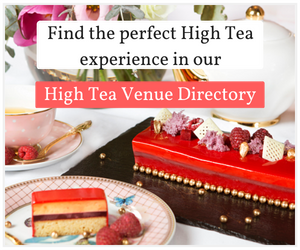 Within that, there are numerous options for you to enjoy the perfect High Tea. The Wonka-styled Chocolate High Tea has been specially created to complement the Charlie and the Chocolate musical in town! Our talent pastry chef has created quirky and delicious treats for both adults and children alike, including Oreo macarons, handmade lollipops, caramel popping candy tart and chocolate mud cake. It couldn’t be complete though without some chocolate chip scones with cacao cream and jam! Come in and experience the golden ticket feeling for yourself. The Vegan High Tea at the Radisson Blu Plaza Hotel Sydney was one of the first of its kind in Sydney, specially prepared for people who do not or cannot eat animal products. For food intolerances and allergies, you can appreciate all our different delights, savoury items and sweet treats without missing out! The Gluten Free High Tea doesn’t even require special reservations! Whether it be school holidays or a rainy weekend, parents are often on the lookout for fun activities for their kids to enjoy. Radisson Blu Plaza Hotel Sydney has the answer with our Kids in the City High Tea. Particularly popular with the girls providing them with the opportunity to don a pretty frock and dine with their ‘besties’, the Kids in the City High Tea menu includes; ham and cheese sandwich, petit beef pies, cream cheese sandwich, caramel cheesecake, “fairy” milk buns and chocolate mousse. Comes in a beautifully designed, convenient three-tier carry box and includes mouth-watering High Tea favourites for on the go. Perfect for every occasion from a picnic in the park, to an office treat, or to simply enjoy at home. Our selections include items such as cucumber sandwiches, salmon and cream cheese, curry puffs, classic scones and caramel cheesecake, all displayed on a stylish, silver-tiered stand. Top off your experience by pairing these sweet and savoury selections with your choice of handcrafted teas from La Maison Du Thé. It’s also available with sparkling wine and Champagne. Now all that’s left to do is to choose and have a pleasant time. 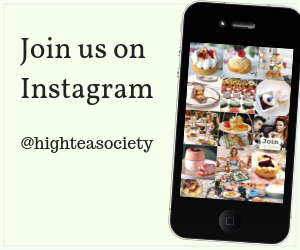 Learn more about the High Tea at the Radisson Blu Sydney.